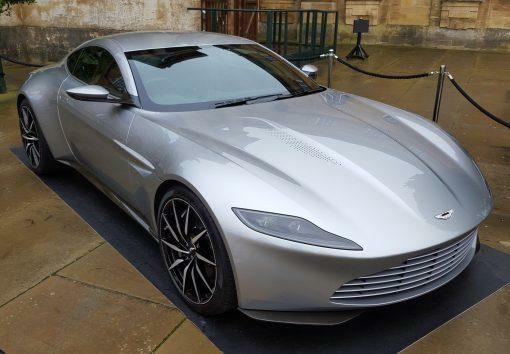 In the upcoming James Bond movie, Bond will swap out his V8 for the upcoming, limited-edition, all-electric Aston Martin Rapide E, according to a report in British tabloid The Sun. So far, Aston Martin has only confirmed a production run of 155 units for the Rapide E, and first deliveries are scheduled to happen at the end of 2019. This would beat the film to release – the film is currently scheduled for an April 2020 release, after being pushed back when previous director Danny Boyle left the project to be replaced by Fukunaga. The Rapide E will have a top speed of 155mph, 0-60 in under 4 seconds, 50-70mph of 1.5 seconds, and have over 200 miles of WLTP range from a 65kWh battery. Two rear motors will produce about 600 horsepower and 950Nm of torque. It will be capable of a 100kW or higher charge rate using an 800V battery system, and will sell for around £250,000 ($331,000). Some may bemoan the break from tradition this represents. After all, Bond has always driven not just modern British luxury cars, but classics as well. 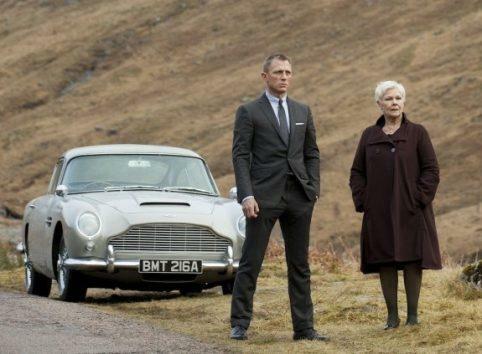 In Spectre (2015), Bond drove a modern DB10 specially made for the film, but in Skyfall (2012), Bond drove a 1965 DB5. But each of Bond’s cars has always been equipped with a spate of fantastical gizmos and gadgets. So if Bond always drives the best and coolest car available, stocked with modern technology, why would he be stuck with a gas engine in this day and age? All the hypercars out there are at least hybrids (LaFerrari, P1, Regera, 918), F1 cars are all hybrids, hybrids keep winning Le Mans, electric cars are dominating Pike’s Peak, and the fastest road car lap at Nurburgring was set by an EV. Formula E is running strong in its fifth season, and the title of quickest production car in the world was recently claimed by a large electric sedan. This entry was posted in News on March 26, 2019 by alistair. In 2005 Murray formed a new British company for the design, engineering, prototyping and development of vehicles – Gordon Murray Design Limited. The Surrey-based company has a global reputation as one of the finest automotive design teams in the world and is responsible for an innovative and disruptive manufacturing technology: iStream®. This entry was posted in News on January 7, 2019 by alistair. 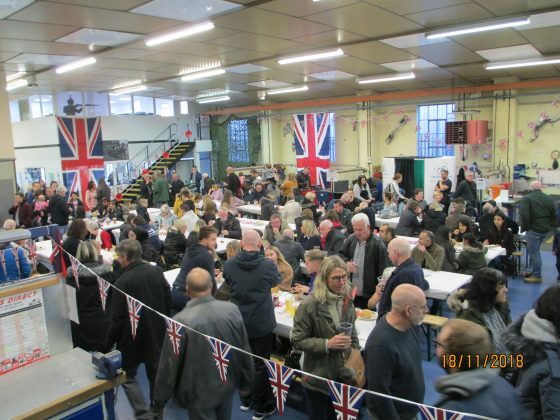 A big thank you to all that helped at our friends and family day on Sunday it was great to see you all enjoying yourselves! A big shout out to Norfolk Tank Museum for letting us show the work we did on the Guy Martin WW1 Tank, Weldability Sif for bringing along their weld training equipment, Aaron Ovenden, Gareth Gladwell and Vince Rabjohns for demonstrating the high tech equipment throughout the day. B and the Stingers for the great Tunes! Ingle and Caves Butchers for the Hog Roast. 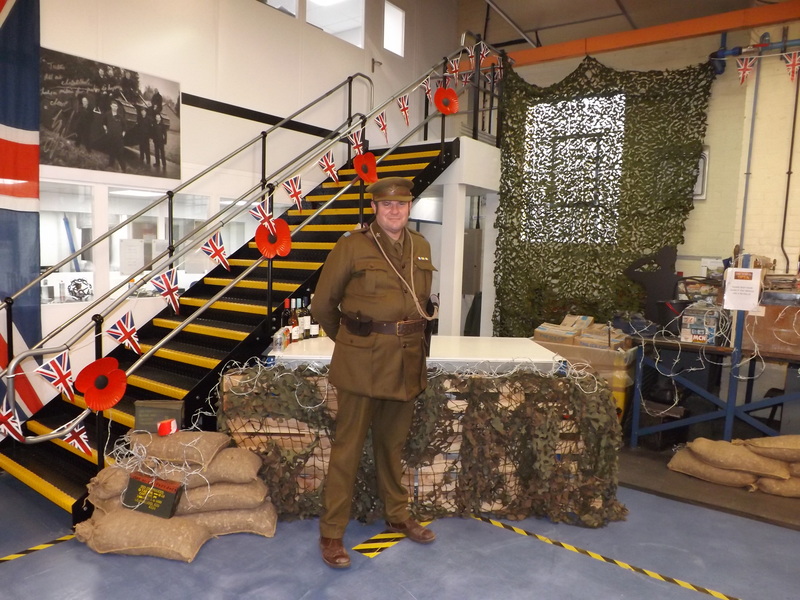 The British Legion for the wonderful support. Steve’s balloons for keeping us all entertained. Lissette from “Design a Face” for sending all our kids home painted and happy!! KBL Event hire for wearing the kids out with the massive bouncy castle. “Get your booth on” for all of the Funny pictures from the photo booth. Uwe for running the bar, Kevin and Sue Redden for keeping it all tidy. And everyone else who helped with the day!!!!!!!!!!!!!!!!!!!!! This entry was posted in News on November 23, 2018 by alistair. 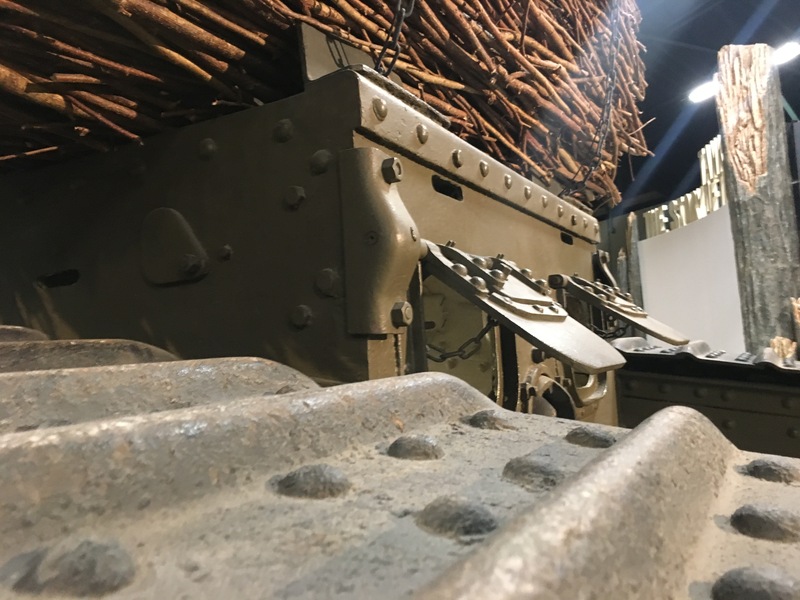 The motor cycle racing legend and TV presenter Guy Martin, working with North One Television, has made a one off special documentary to commemorate the 100th anniversary of the Battle of Cambrai and the first use of tanks in modern warfare. 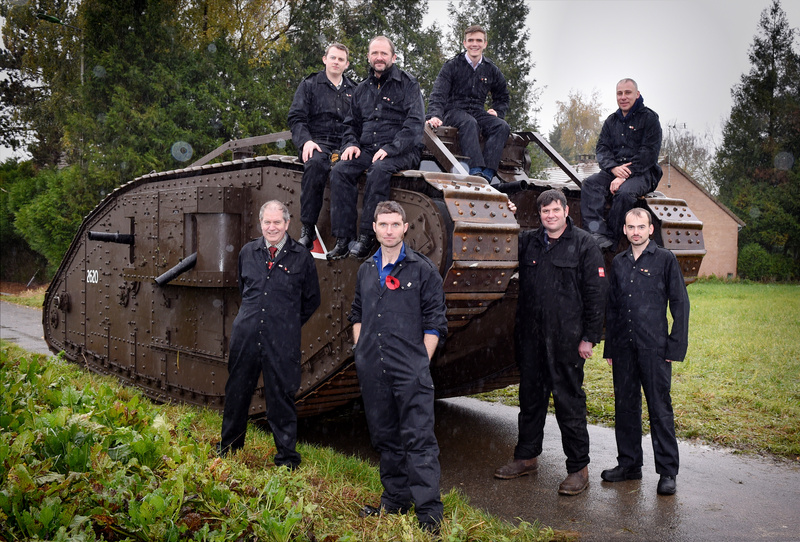 Guy has been involved in the construction of a replica Mark IV World War One tank. He wants to ensure that the British engineering brilliance, which created the world’s first battle tank, is remembered along with the brave men who served and paid the ultimate price in the line of duty. 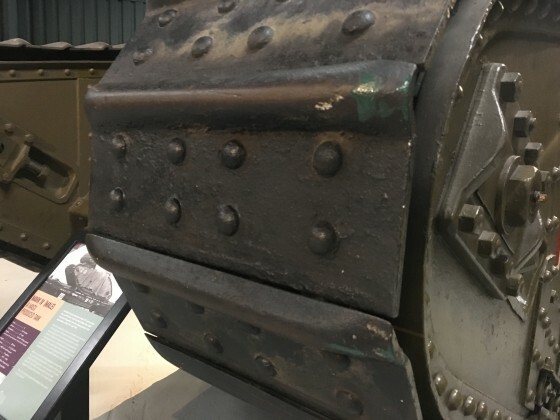 With only four months to complete the most ambitious build he had ever attempted Guy Martin engaged the services of Chasestead Limited and JCB for the engineering, the tank its self being assembled in the Norfolk Tank Museum. Guy Martin worked on the manufacture of the complex track components at Chasestead Limited in Letchworth. 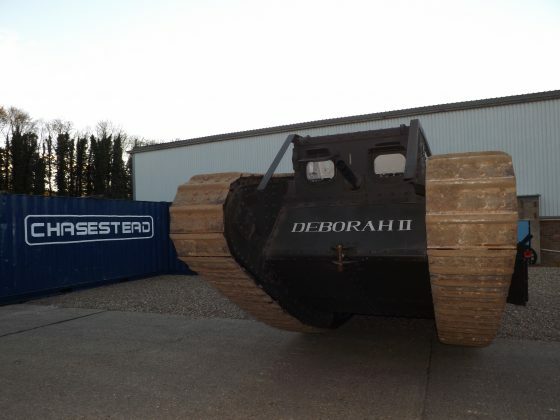 He used the equipment usually involved in the manufacture of prototype vehicle chassis for companies such as Aston Martin and Jaguar. Using Chasesteads’ 800 tonne press he pressed the tank tracks which were then laser cut on a state of the art five axis laser. In total Chasestead Limited manufactured over 360 components for this vehicle, from gun mounts to periscopes. Some components were rapid prototyped using technology that the original manufactures could only dream of in 1917. During the programme, Guy will provide a fascinating insight into the history of tanks that will include a visit to the Cambrai battlefield where he meets one of the only seven original Mark IV tanks still in existence. He will also join the Royal Tank Regiment on manoeuvres on Salisbury Plain and learn what it’s like to work in a modern Challenger 2 Tank. This entry was posted in News on November 16, 2017 by alistair. 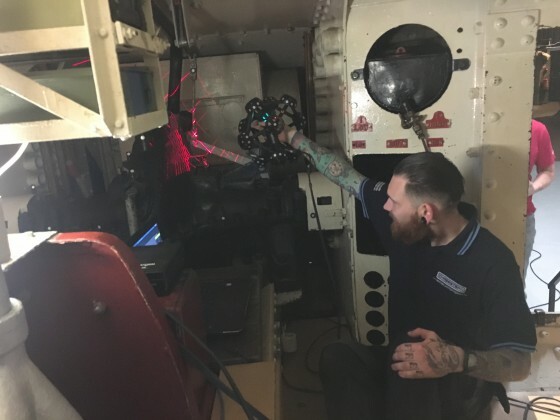 Using state-of-the-art instruments to map the sea floor of this notorious area of the Atlantic Ocean, scientists hope to discover why it has claimed so many lives and so many ships. What strange geological features will be revealed and will they shed light on any of the many mysterious occurrences? This entry was posted in News on October 11, 2017 by alistair. LONDON – Nissan, as proud partner of British Paralympic Association (BPA), has used its automotive expertise to support some of the British athletes heading to the Rio 2016 Paralympic Games. In partnership with the English Institute of Sport (EIS) and British Cycling, the Nissan Innovation Team based at the Nissan Technical Center Europe (NTCE) has used its engineering and innovation prowess to develop a new trike for three-time Paralympic gold medallist David Stone MBE. The Nissan Innovation Team began the project in 2014, following many of the same procedures involved in designing a car. 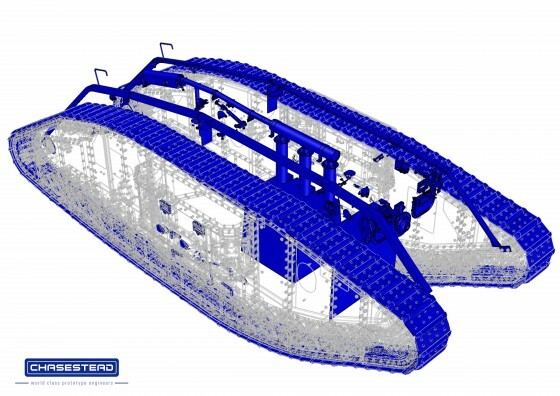 Following a full 3D laser scan of David’s existing trike by Nissan Design Europe, a process usually reserved for styling clay models, the team established his new trike could be made lighter than his existing steel / carbon hybrid and his riding position lowered to significantly improve his speed and stability. The team chose to design the new trike using Titanium Grade9, achieving weight savings of 18 percent. Their approach followed the same basic material and design philosophy that was applied to the lightweight titanium exhaust system on the Nissan GT-R NISMO. In the same way a Nissan GT-R driver would notice the reduced weight and improved acceleration, David will notice his new trike can now accelerate faster off the start line and out of slow corners. Utilising titanium over steel also allowed Nissan to stiffen up the frame, which is key for transferring the power between rider and road. To measure the stiffness of David’s current trike, highly specialised modal analysis was conducted by Nissan engineers, where sensors were placed across the frame to measure its resonance. The Nissan GT-R NISMO was also tested and developed using the same method. Nissan also discovered that David’s original trike was built up of a standard bike frame bonded to a heavy steel trike conversion kit, meaning it was over engineered and heavy. Using the 3D scanning tools the Nissan Innovation Team were able to develop a fully integrated trike design, incorporating a dual wheel drive system. This allows both wheels to be powered yet independently free wheeled, similar to the rear differential on a car. Throughout the process Nissan also adopted various other techniques such as ‘coast down testing’ of the trike on a track – similar to that used to calculate the aerodynamic efficiency of cars – and allowed David to have access to their environmental chamber where he prepared in high temperature conditions as part of his training programme. Alec Patterson, R&D Project Manager, who led the team of innovation experts at Nissan Technical Centre Europe (NTCE) explained: “Nissan initially discussed with the EIS the ways we could utilise our engineering development expertise for the benefit of Rio 2016 – bound Paralympic athletes. The David Stone trike project was chosen as it offered potential for significant improvement and could directly benefit from our in-depth experience of vehicle design and manufacture. Tim Hollingsworth, CEO of the British Paralympic Association commented: “We’ve been delighted about working with Nissan on our road to Rio 2016, and have been excited about the innovative approach they have brought to the partnership. Having access to the expertise and knowledge within the Nissan Innovation Team to benefit some of our athletes is something truly special that they have and hopefully it will help assist the ParalympicsGB team in having a successful Games in Rio”. In addition to the trike project, Nissan has also provided consultancy to the EIS on various other aspects of how the British Paralympic team’s equipment could be optimised ahead of Rio. This has included support on identifying a new type of wheelchair roller for athletes warming up ahead of races, feedback on materials for wheelchair athlete’s gloves and input on the best types of testing methods for grip testing wheelchair tyres in various weather conditions. Nissan also offered support to ParalmypicsGB T54 sprint competitor, Richard Chiassaro, by providing him with a new wheelchair after his was vandalised in December 2015. The Nissan trike project is one of a number of other Nissan Rio related activities for the Rio 2016 Olympic and Paralympic Games, including Nissan’s gold LEAF giveaway as launched by Sir Chris Hoy, Nissan’s Ultimate Sports Day, the Nissan Olympic fleet announcement, Usain Bolt vs Fire campaign. This entry was posted in News on September 13, 2016 by alistair. The DB11 uses a completely new bonded aluminium platform. 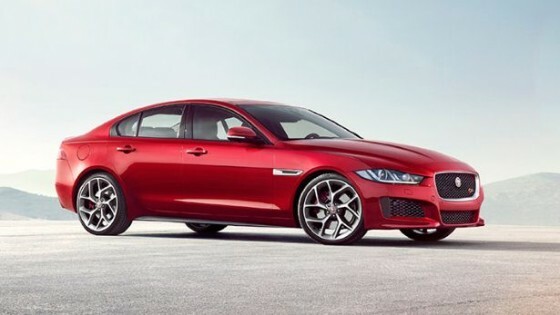 Lighter and stronger, it allows for wider door apertures and increased occupant space for the rear seats. The car is still a 2+2 and yes, there is more room in the back, but its not much. With a 1770kg dry weight the DB11 is actually only 15kg lighter than the DB9 it replaces. Changes to the suspension setup are significant. At the front, you’ve got fully independent double wishbones, coil springs and three stage adaptive dampers. The rear is multi-link with adaptive dampers. Those dampers can be controlled via a single button on the steering wheel and switched between GT, sport and sport+ mode. 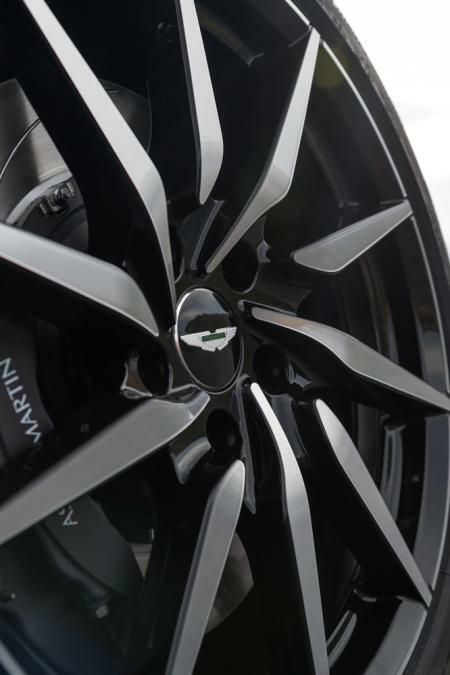 We spent time with Aston Martin handling setup guru Matt Becker prior to the DB11’s unveiling and he hinted at wanting to create a car with a broad dynamic character. 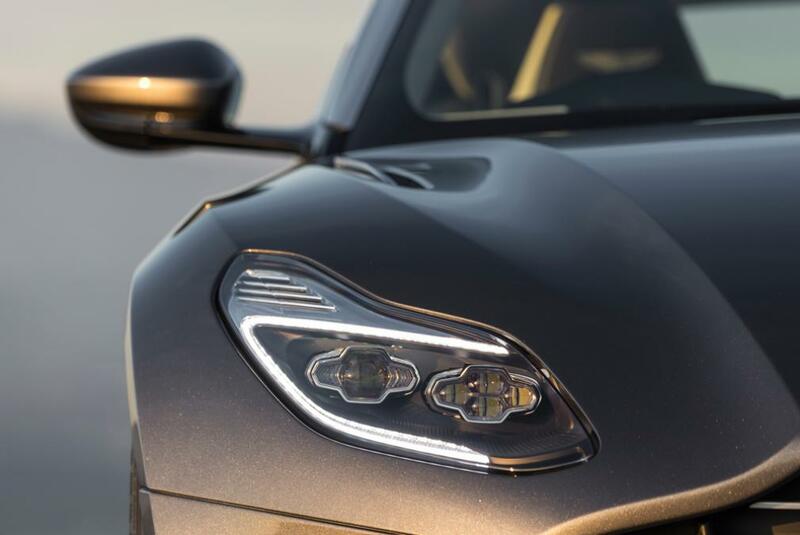 Aston claims this has been put into practise with the DB11, with the three stage adaptive damping varying significantly between each setting. The steering itself is a 13:1 electric power assisted speed-dependant tack and pinion setup which is 2.4 turns lock to lock. 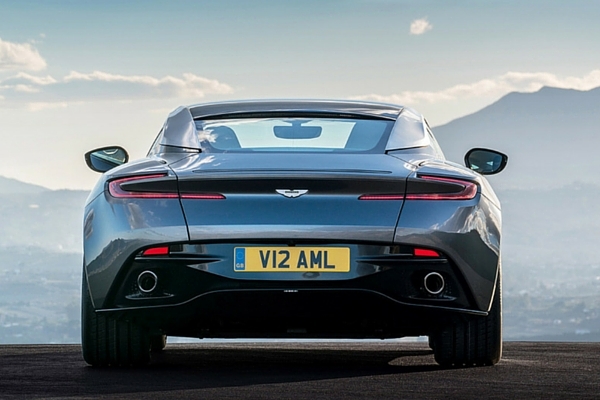 The DB11 features both front and rear LED lights with the design drawing on that of the Vulcan and One-77 hyper car. Updated daytime running lights also feature, as does a single cut out for each light at the front in the huge single piece clamshell bonnet. 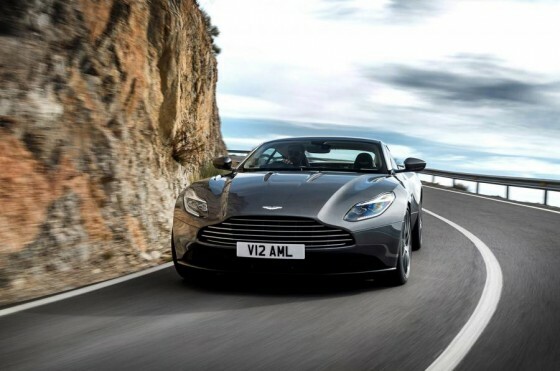 There are two significant new aerodynamic features introduced wit the DB11. 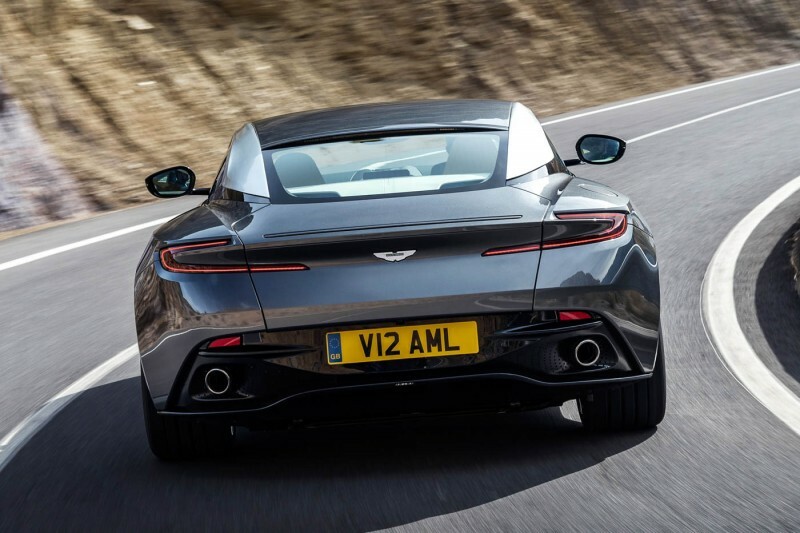 The first is the “Curlicue” you see sat directly behind the two front wheels, First introduced on the Vulcan, it takes high pressure turbulent air from the wheel arch and sends it down the side of the vehicle as vortices, smoothing out airflow over the DB11. This entry was posted in News on April 26, 2016 by alistair. Internet giant Google Inc. has started talks with most of the world’s top automakers and assembled a team of global suppliers to speed its push to bring self-driving cars to market, Chris Urmson, the head of the project, said today at the Automotive News World Congress. The suppliers named by Google included Bosch, which supplies power electronics and long-range radar to Google; ZF Lenksysteme, which supplies a new steering gear; LG Electronics, which supplies the batteries, Continental and Roush. Urmson confirmed that Roush, the Michigan-based engineering and specialty manufacturing company, built the podlike two-seater that Google plans to start testing on public roads this year. Crain’s Detroit Business, an affiliate of Automotive News, reported that relationship last May. Google did not ask a large automaker to build this car, Urmson said during a discussion, but intends to do so in the future when it seeks to commercialize its technology. “At some point, we’re going to be looking to find partners to build complete vehicles, and bring the technology to market,” Urmson said. He declined to name the companies or share details of their discussions. Reuters reported earlier that the manufacturers contacted by Google include General Motors, Ford Motor Co., Toyota Motor Corp., Daimler AG and Volkswagen AG. Google plans to deploy a test fleet of Roush-built prototypes in 2015. On closed courses, Urmson said, the cars will be able to operate without a steering wheel, brakes or accelerator — and drive themselves without a human passenger. Due to California regulations, controls will be added and a test driver will be behind the wheel when the car travels on public roads. Urmson’s expectation that the first fully autonomous vehicles will be production-ready within five years mirrors the view expressed a day earlier by Tesla Motors CEO Elon Musk. Musk, who spoke Tuesday at the Automotive News World Congress, said he expects the lack of clear federal regulations covering self-driving cars could delay their introduction until 2022 or 2023. Google listed its partners during today’s presentation. Urmson said Google is developing and refining self-driving systems and components with such auto parts suppliers as Continental AG, Robert Bosch, ZF and LG Electronics. Google’s prototype cars use microprocessors made by Nvidia Corp, a Silicon Valley chipmaker that also supplies Mercedes-Benz and other automakers. Two of those partners — Continental and Bosch — have developed their driverless cars as part of their effort to design software and hardware for collision avoidance. Samir Salman, CEO of Continental’s North American unit, told Automotive News that his company will help design the Google fleet’s brakes, tires, body controllers and interior electronics. This entry was posted in News on January 19, 2015 by alistair.